The Sea Walls Promenade links the Charles Clore Park and the Jaffa Harbor along the Second Aliyah Pier and was built in 2001. 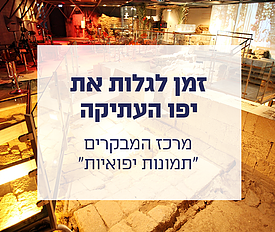 The reconstruction and renovation process of Jaffa’s sea wall began in an archeological excavation where the Ottoman wall that surrounded Old Jaffa was discovered. The renovation works included partial reconstruction of the historical wall, building a sea wall to serve as a rail for the promenade and a break wall against the high waves during the winter. The promenade paving was done in both natural stone and industrially processed stone. The sea wall is made of eolianite and is similar in shape to a wall with firing slits. Along the promenade the stones of the original wall are marked, and spots were erected that explain the site’s history, complete with maps. The wall is designed in the shape of the original wall facilitating continued fishing by fishermen equipped with poles, as has been practiced for many years. The slits in the wall also serve to drain the seawater that rise and flood the promenade during the winter storms. 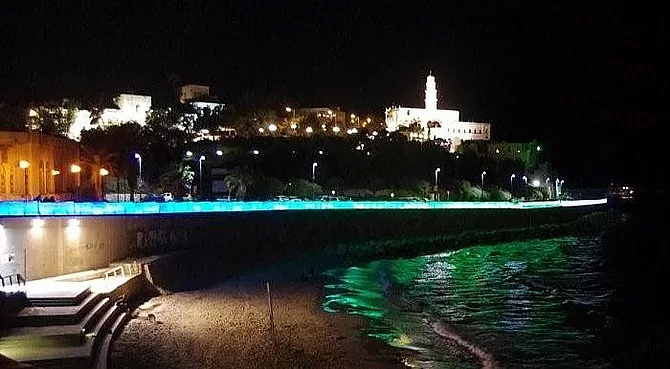 In …., the outline of the sea wall was illuminated as part of a project outlining Jaffa’s shape in light. The lighting emphasizes Old Jaffa’s famous shape as seen from the promenade and hotels along the shore.